According to ABI Research, a market-foresight advisory firm providing strategic guidance on transformative technologies, a reevaluation of Augmented Reality (AR) and the surrounding market is necessary to maximize influence and potential. 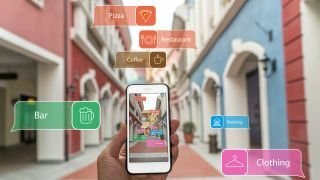 In the most recent quantitative market database, the total AR market value is expected to reach US $116 billion by 2023, spread across devices, software, content, platforms, licensing, connectivity, and more. This growth represents an 89 percent CAGR between 2018 and 2023. The growth rate of the overall market hints at a very important trend: growth rate is down when compared to the same window one year earlier, showcasing the beginning of a much-discussed inflection point in the market. With so many waiting to see notable AR adoption, this trend is especially important to highlight. This inflection point carries through 2019, as greater and greater adoption will be seen across markets. Healthcare, retail, education, and media and entertainment are poised for the strongest growth outside of the “traditional” AR power areas in industry and enterprise, all with over 100 percent CAGR through 2023. While enterprise adoption has dominated the story, the consumer market sees increasing mindshare through the forecast. Apple’s recent hardware event supplied a concrete example of this, with the tech behemoth continuing their mobile AR story with increasing capability of their ARKit SDK with new and interesting applications for their immense user base. Expect the other major smartphone players to follow suit, especially Google and their parallel ARCore SDK. According to ABI Research’s latest data, mobile devices will still make up over 60 percent of total augmented reality usage across verticals and use cases in 2023, which is notably larger than previously anticipated. Revenue continues to flow through the entire value chain, however, with needs for content creation and distribution, platform support, implementation, and more whatever the end user device may be.